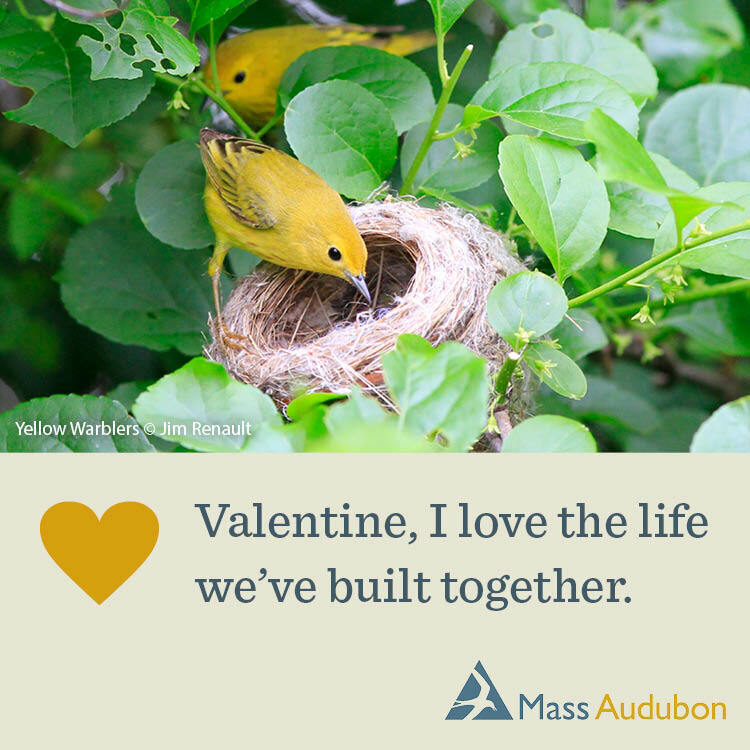 Posted on February 27, 2019 by Hillary T.
This year, Mass Audubon has been fortunate to welcome four members of TerraCorps to our team. 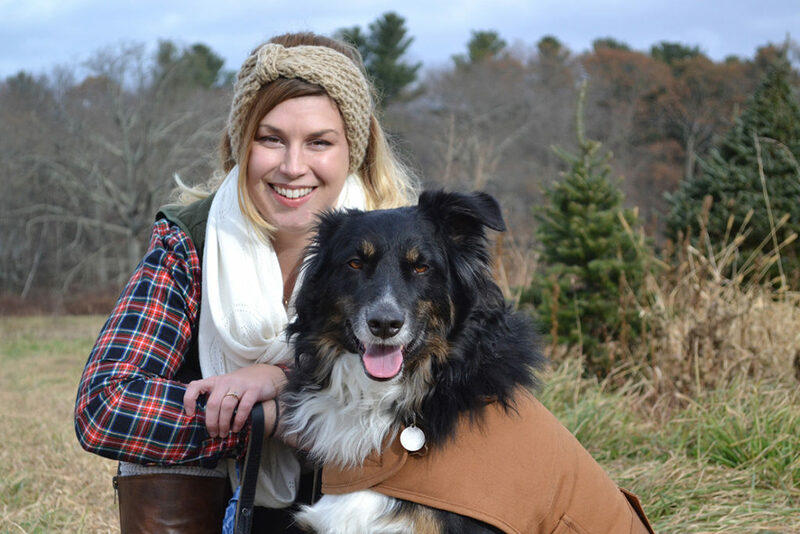 TerraCorps partners with AmeriCorps to pair emerging leaders with land-based organizations in Massachusetts. 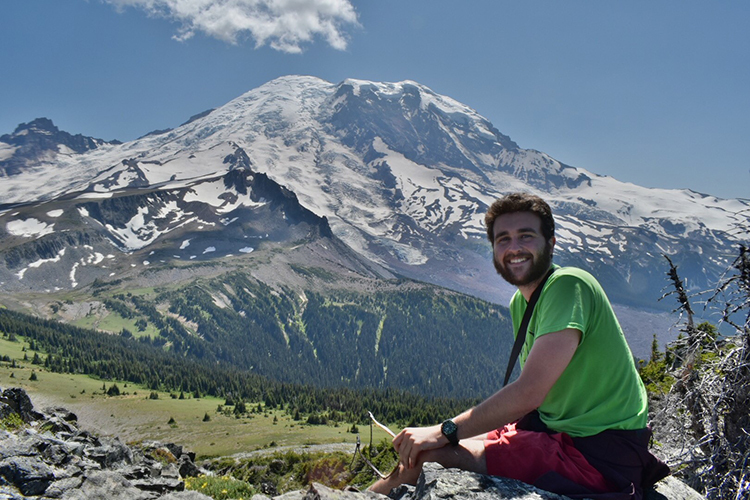 The TerraCorps service members gain valuable, real-world experience, and Mass Audubon benefits from their energy, enthusiasm, ideas, and hard work. Say “hello” to the team and read a little bit about what they are working on. Interests: Birding, reading, photography, canoeing, and breakfast food. 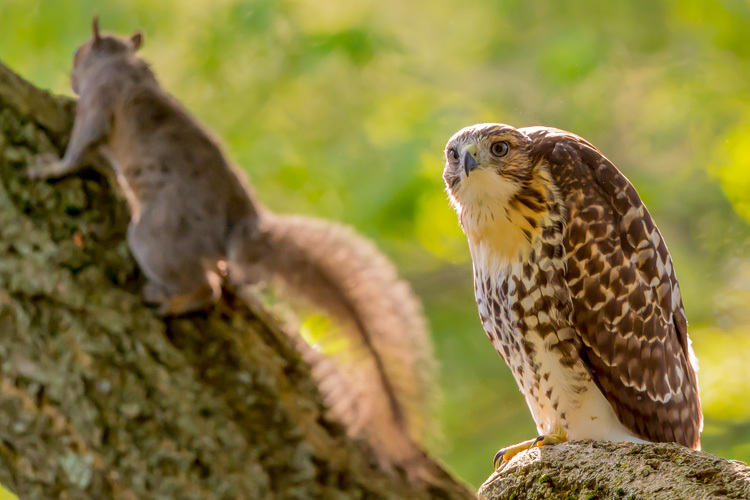 Working on: Creating an iNaturalist platform for Mass Audubon, estimating deer density via a citizen science camera trapping effort at Moose Hill, normalizing amphibian cover-board monitoring throughout the sanctuaries, and pioneering a window strike initiative for Boston. Hopes for the position: Hope to make connections, and get experience in my field. 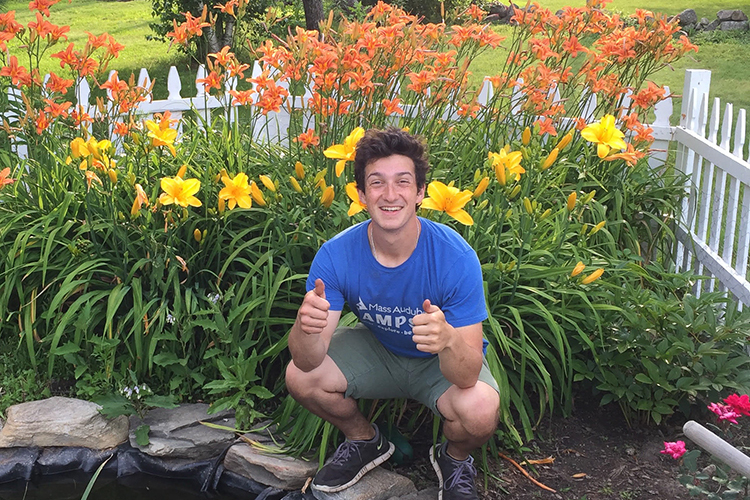 Working on: Incorporating best practices to facilitate diversity and inclusion at Mass Audubon, leading an Alternative Spring Break program for UMass Boston students, volunteer coordination for sugaring at Moose Hill, developing a boundary monitoring protocol for Mass Audubon sanctuaries, and pioneering a window strike initiative for Boston. 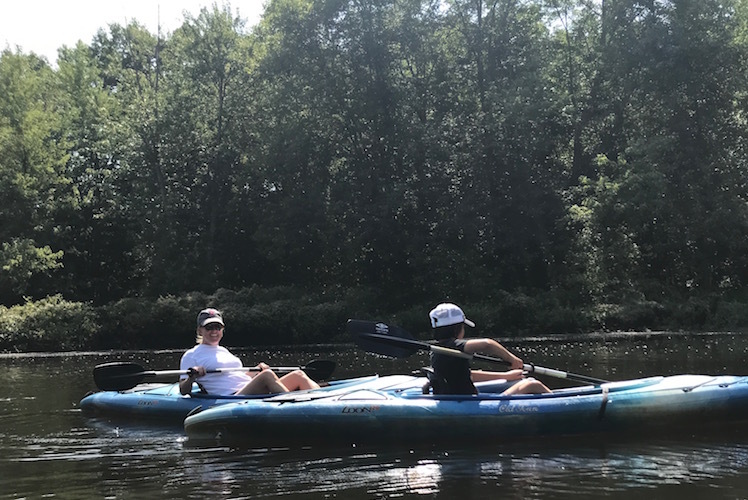 Hopes for the position: Professional networking and exposure to ecological restoration/dam removal efforts in Massachusetts. What’s next: I would love to live out West for a few years and then serve in the PeaceCorps somewhere in South America. 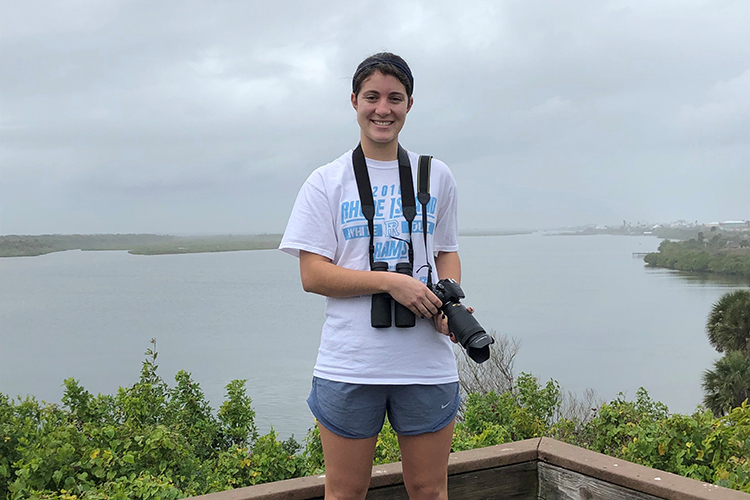 Working on: Helping to standardize Mass Audubon’s nest box data collection, updating Salt Marsh Science Project data and web content, analyzing losing ground satellite imagery providing by Boston University, and pioneering a window strike initiative for Boston. Hopes for the position: Gaining real-life experience, setting up a study design, collecting data, and networking. I hope to continue meeting new people and expanding my knowledge of nature and conservation. I am not taking anything for granted and trying to make the most out of my experience here. What’s next: Work for a couple of years to continue to gain experience. Then go back to school to get my masters, maybe in California. Then head home to New England. Working on: Nature Lovers Trivia Night at Central Sanctuaries, Climate Cafe, Butterfly upcycle art project. Hopes for the position: To make an impact to my community. What’s next: Continue my contribution within another local nonprofit. 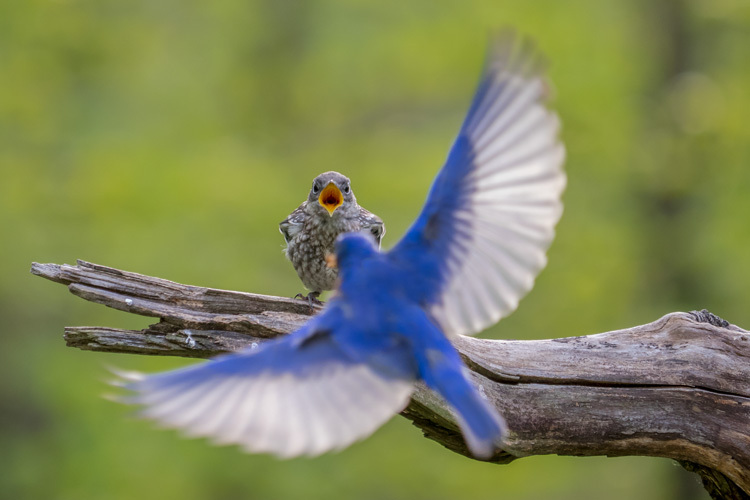 This entry was posted in General on February 27, 2019 by Hillary T..
Posted on February 25, 2019 by Ryan D.
There is a tremendous amount of skill that goes into capturing a great photo: lighting, exposure, composition, depth of field, and so much more. But any wildlife photographer will tell you it also takes a good deal of luck. 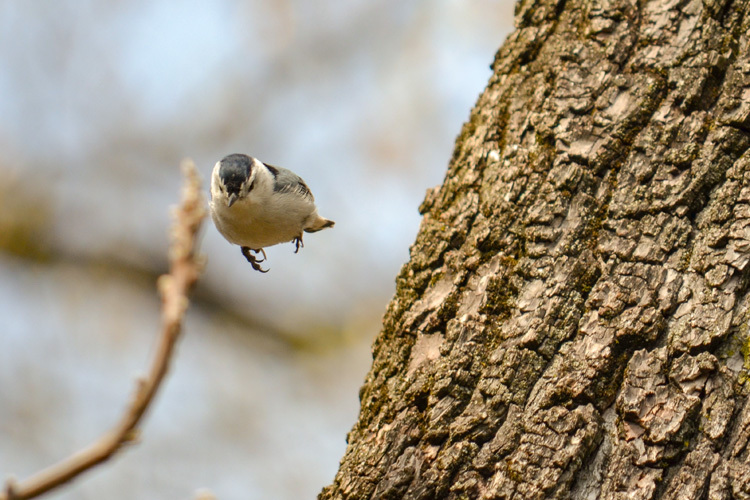 Here are five examples of great timing in photography—just the right balance of skill, luck, and being in the right place at the right time with the right equipment to capture an unusual shot. 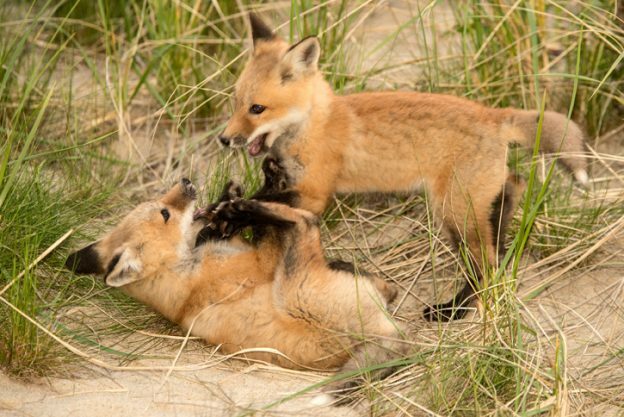 These photos were all submitted to our annual nature photography contest, Picture This: Your Great Outdoors. You can see the winners of past photo contests and signup to be notified when this year’s contest opens on our website. 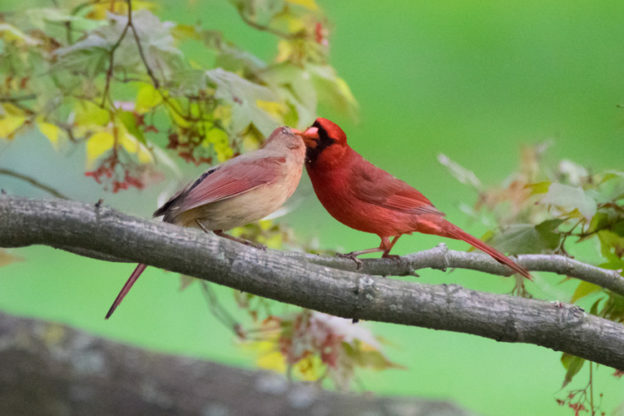 This entry was posted in Take 5 and tagged photo contest, photography on February 25, 2019 by Ryan D..
Posted on February 21, 2019 by Hillary T.
Go for a nature walk, build a nestbox, look for tracks, learn how to work with wool, tap a maple tree, attend a climate cafe, and more at a wildlife sanctuary this weekend. 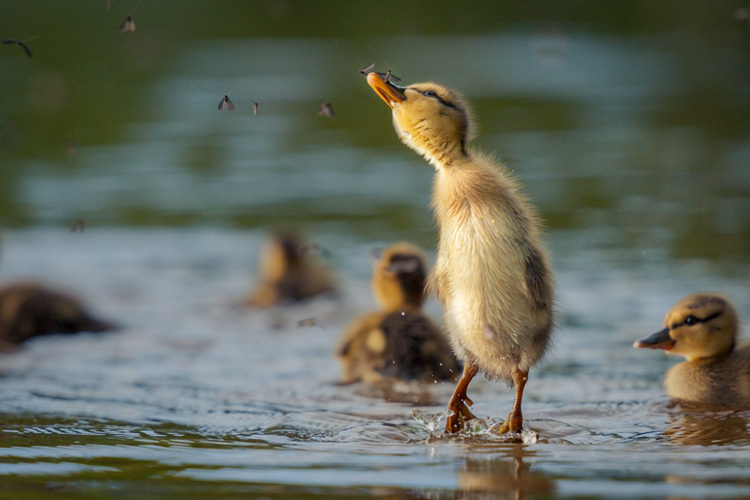 Head to the Museum of American Bird Art in Canton to view works from young artists, part of the juried Taking Flight Exhibition. This entry was posted in Get Outdoors on February 21, 2019 by Hillary T..
Have you ever asked a friend for the ID of a plant or animal you didn’t recognize? Are you the friend who gets asked? Do you ever snap a photo of something you don’t recognize to research later, but you never get to it? Do you have hundreds of pictures on your phone or computer of plants and animals that you wish could be of use to someone? If you answered yes to any of these questions, consider joining iNaturalist! 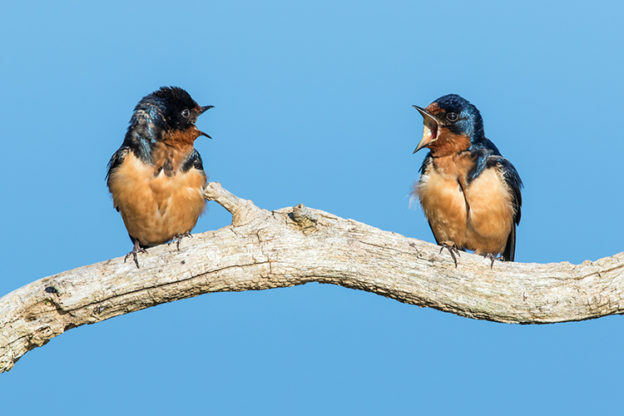 iNaturalist is an online platform designed to connect people like you to an entire community of nature enthusiasts). Here, users share sightings of plants, fungi, and animals and in return get identifications on what’s in their images (or audio files). ID’s are consensus-based. This means other users can see your observations, and either agree or disagree with your identifications based on their own knowledge. An observation becomes “research grade” when the majority of identifiers reach a species-level consensus about the plant, animal, or fungi in your picture. 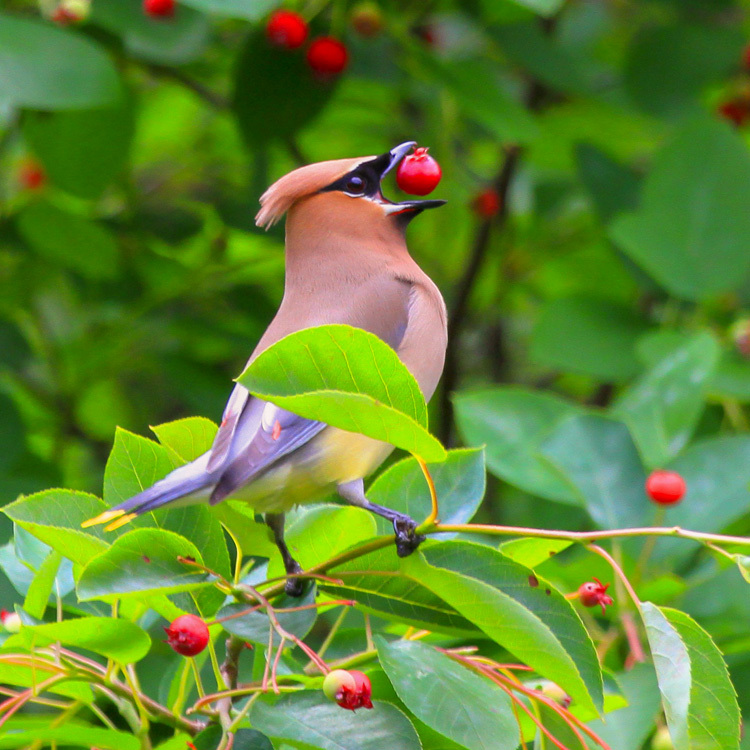 If you think your photo of an insect in your yard isn’t important enough to post, think again! All research grade observations on iNaturalist get added to the Global Biodiversity Information Facility, and can then be used in scientific research and publications. One of the best parts about iNaturalist is that everyone can use it–you don’t need to be a scientist or a professional naturalist. All you need is a computer or smartphone and an interest in the natural world around you. 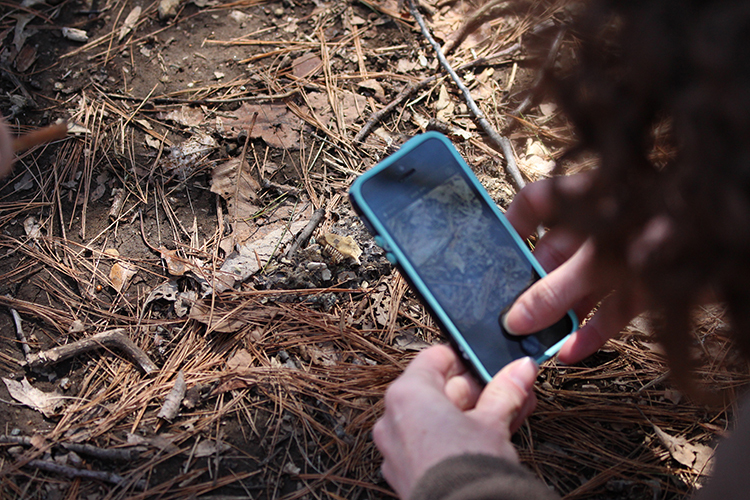 To get started, create a free account at iNaturalist.org or via the smartphone app. Then, upload identifiable pictures or audio with a location and a date and give it your best ID (if you have no clue, the platform will often suggest what it thinks is in your photo). Within minutes or hours, other users will see your observation and will help to identify it. 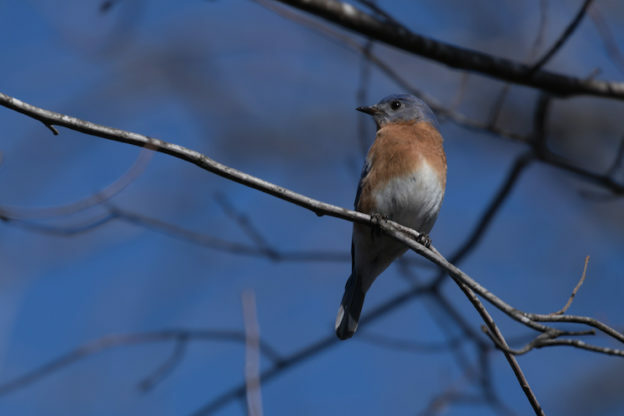 Mass Audubon is launching an iNaturalist initiative to compile a catalog of the biodiversity present at our wildlife sanctuaries. All of our sanctuaries are now a “Project” that you can contribute to. Make sure to scroll through the leaderboard to see the standing of your favorite sanctuary. Then get outside, enjoy the outdoors, and start observing! 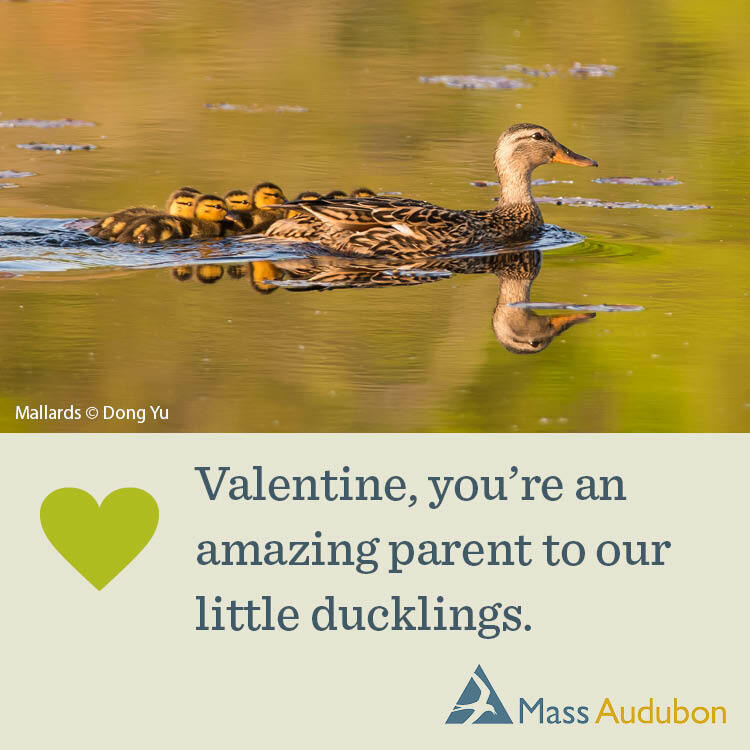 This entry was posted in Stuff We Love on February 20, 2019 by Mass Audubon. 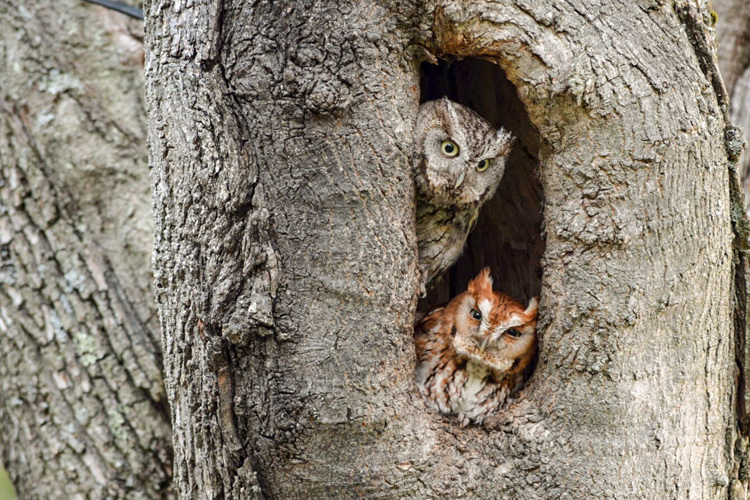 Posted on February 18, 2019 by Ryan D.
It may still be cold and wintery outside, but things are heating up for our breeding owl species. Late winter is the height of the courtship and mating season for most owl species so there’s a good chance you may hear a “hoo’s hoo” of mating calls (although not all owls make “hoo” sounds!) on your next stroll through the forest. 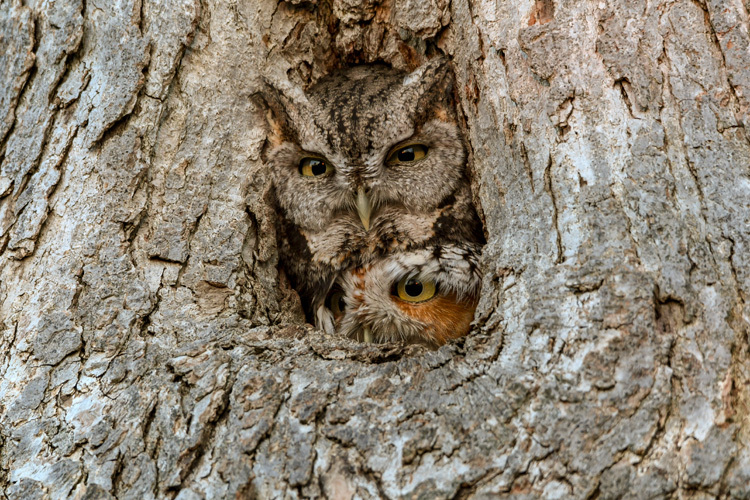 Great Horned Owls, for example, are one of our earliest breeders and begin hooting to attract mates as early as December. 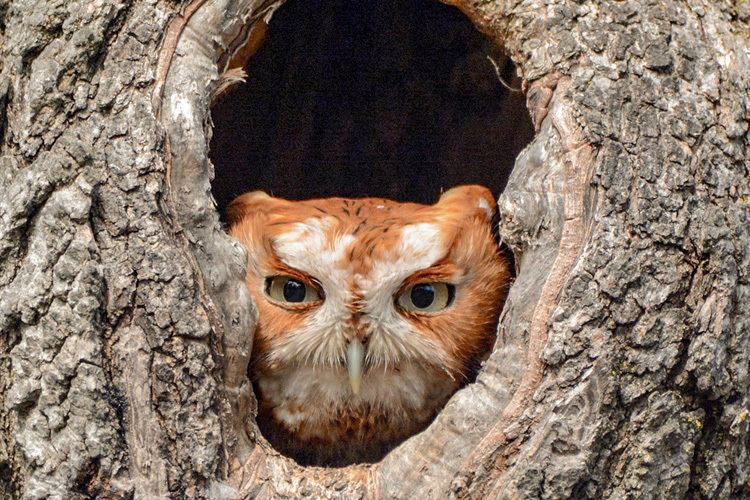 Many owls roost in tree cavities during the day and those that do will also lay their eggs in tree cavities, although a roosting cavity is not necessarily also a nesting cavity. 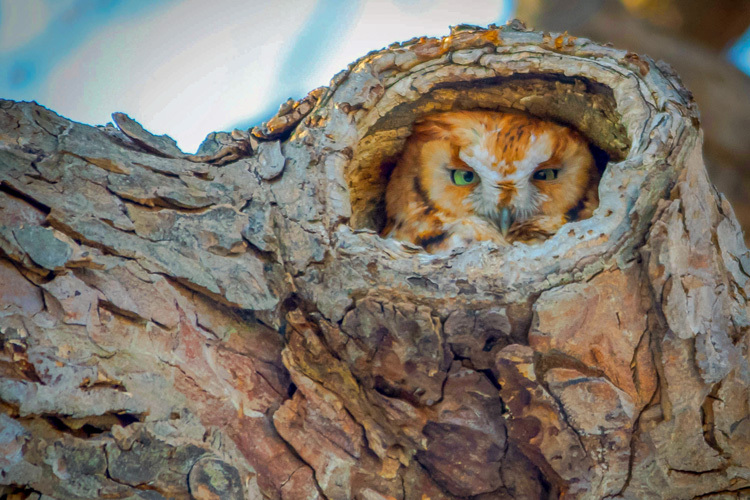 Lots of nature photographers love to capitalize on this fact to capture some wonderful photos of “owl peek-a-boo”. 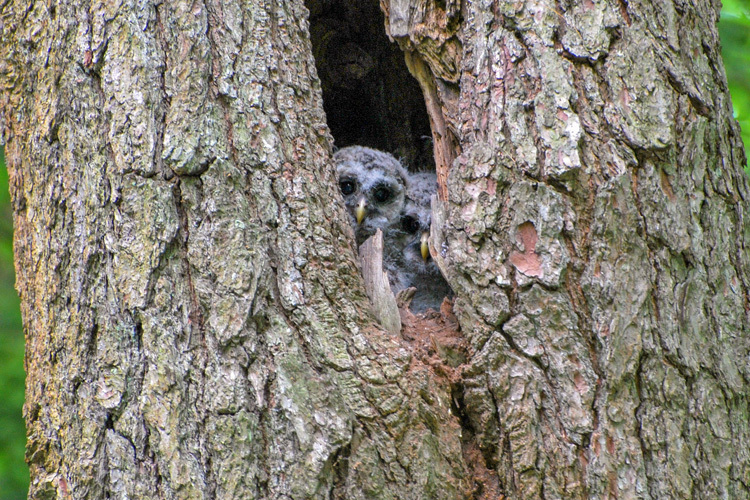 Here are five great shots of owls in tree cavities that were entered into our annual photo contest. For your own chance to glimpse one of these gorgeous raptors, join one of the dozens of Owl Prowls happening at our sanctuaries this time of year. This entry was posted in Take 5 and tagged owls, photo contest, photography, tree cavities on February 18, 2019 by Ryan D..
Posted on February 15, 2019 by Hillary T.
Look for wildlife after dark, go on a nature walk, learn about animal tracks, see a nature documentary, and more at a wildlife sanctuary this weekend. 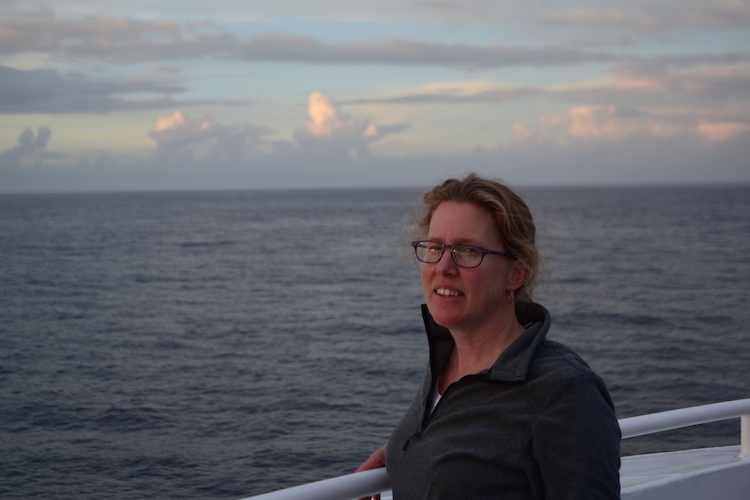 This entry was posted in Get Outdoors on February 15, 2019 by Hillary T..
Let’s talk about why we need to talk about climate change. Recent surveys from the Yale Program on Climate Change Communication show that Americans understanding that climate change is happening and is human caused are at an all-time high. Yet, people are still so hesitant to talk about this important topic for a variety of reasons. We know most people aren’t climatologists and trying to know all the facts and figures is just overwhelming. However, our lack of confidence has led to a silent culture and that’s a real problem. When 97% of climate scientists agree that climate change is happening and is caused by human activity, we actually don’t need more people getting into the weeds on the data. The scientific consensus is there, and frankly if that was all we needed, this problem would have been solved a long time ago. What we need are people focused on solutions. As odd as it sounds, scientific data alone doesn’t change people’s minds, but talking about shared values and personal observations can help people connect and understand an issue. The more you are able to tell a story that resonates with your audience, the easier the conversation will be. Most of the time, the news on climate change is all doom and gloom and that can cause people to shut down. Not to mention, human beings don’t like change, and what we are seeing today are growing changes that threaten our communities, livelihoods, and natural areas that we love. Constantly delivering bad news is an exhausting position to be in. BUT! Remember what we said? People need to hear about solutions, not data infused with fear. You can’t scare people into caring. Solutions to this problem do exist and often times lead to many other co-benefits: job creation, improved health, and increased geo-political stability. Those are all good things, so focus your attention there and avoid blaming or shaming people. There is actually a lot more consensus on climate change than people presume. As we know, the most renowned scientists have been in agreement for a while, as demonstrated through the recent IPCC report. Unfortunately, only a small percentage of Americans even know about that overwhelming scientific consensus. Plus, while liberals are generally more conscious of climate change, there is still bipartisan consensus at all levels of our government. Last November, in Congress, there was bipartisan legislation introduced for the first time in a decade to reduce carbon pollution and spur innovative solutions. At the state and local levels, the examples of bipartisan action are even more prolific. The only way to bring this issue to the forefront of all political debates is by talking about it more often with lots of different people. Climate change is a global problem with local solutions. The truth is, there are many things you can do to reduce your own carbon footprint, and even help increase policies that lead to more collective action. If you are looking for one thing you can personally do to address climate change after reading this, the answer is probably fairly obvious- talk about it! By talking about this topic with people you care about, you’re increasing awareness and socially validating climate change as a worthwhile topic. Adding your voice to the conversation, driven by your values (whatever they are), helps people find comfort in numbers. 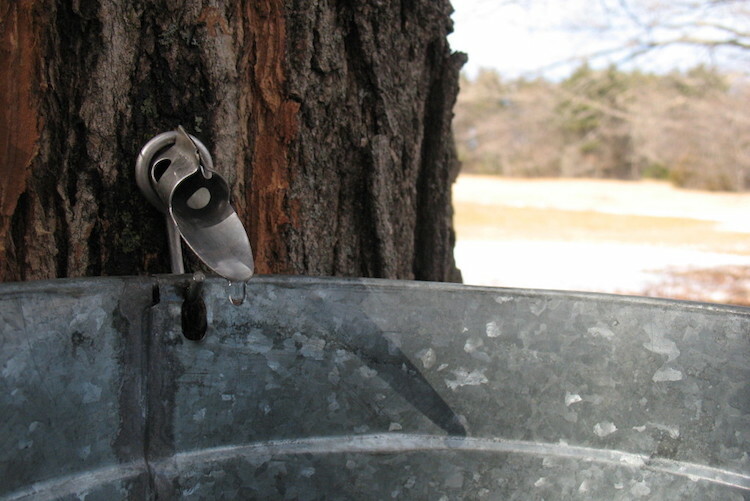 This entry was posted in Climate, Going Green on February 14, 2019 by Alexandra Vecchio. 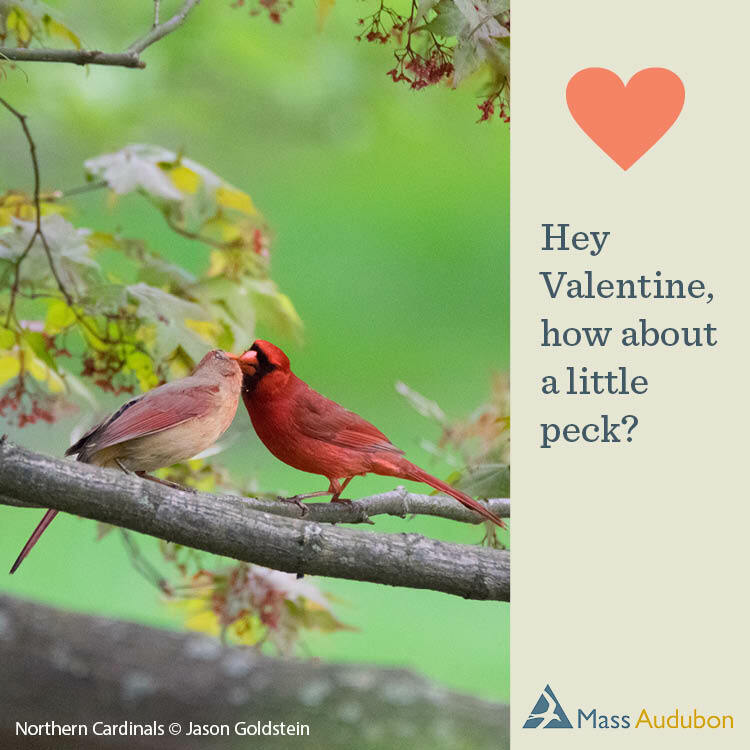 Posted on February 11, 2019 by Ryan D.
Happy Valentine’s Day from Mass Audubon! 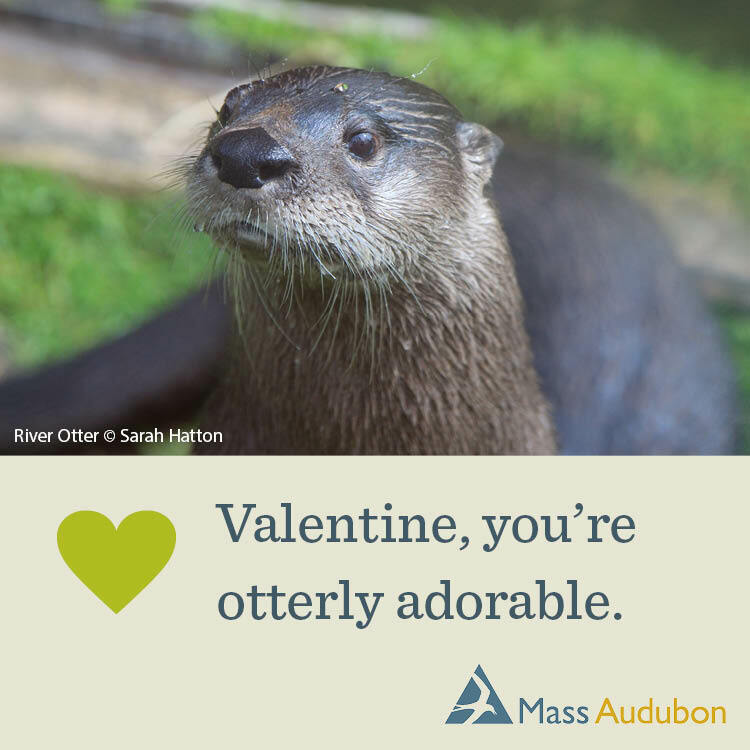 Send your nature-loving sweetheart one of these special valentines to show them how much you care about them and about protecting nature and wildlife —or better yet, consider making a donation in honor of your someone special. For this year’s valentines, we mixed things up with a few silly and corny ones as well as a few sweet and heartfelt sentiments. 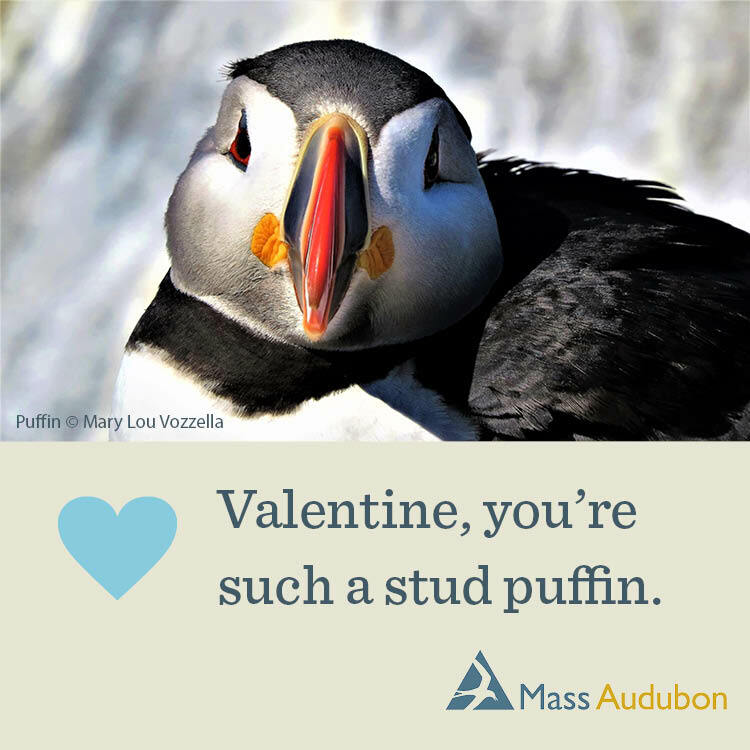 To see even more options, check out our nature valentines from 2018, 2017, 2016, and 2015. This entry was posted in General on February 11, 2019 by Ryan D..